The Mens Bangor Boot Omni-Heat Boot from Columbia is a casual Columbia winter boot that can move seamlessly between trail and town. 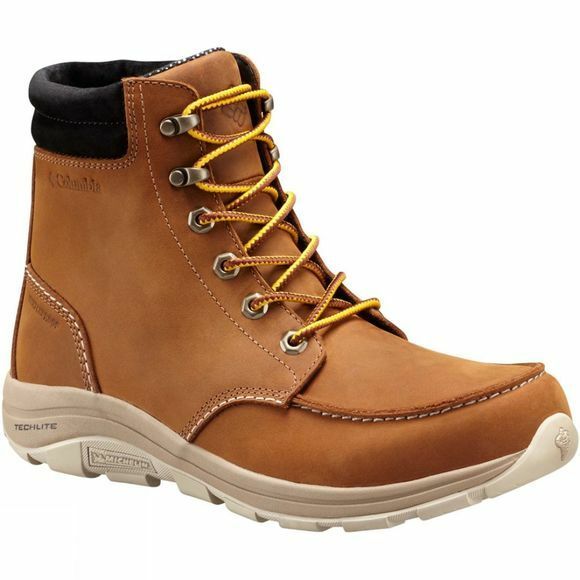 This boot offers the same great protection you'd expect from Columbia products: waterproof and breathable, with a thermal reflective lining to lock in heat when you need it and to keep you cool when you don't. Featuring Michelin Ice Control, an anti-slip rubber grip sole that will keep you steady on your feet in the most challenging of conditions, even at temperatures reaching -30°C.